Yesterday, Grand Duke Henri visited Ettelbruck to celebrate the 150th anniversary of the first ever performance of Luxembourg's national anthem, Ons Heemecht. Before participating in an academic session, he unveiled a memorial to honour the first performance of the anthem on June 5, 1864, in Ettelbruck. 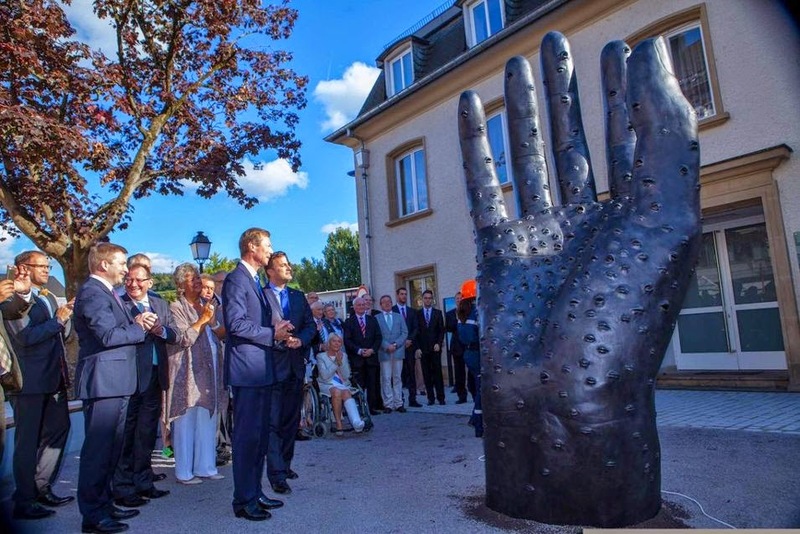 The 3.30 metres high hand statue features the mouth prints of 550 people of Ettelbruck, the number of people who first sang Ons Heemecht together 150 years ago.